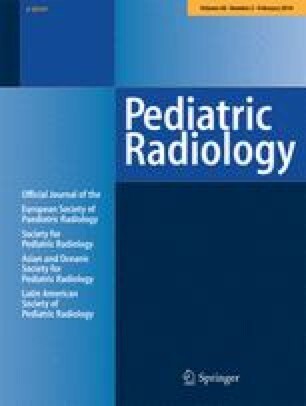 Fetal MRI can be performed in the second and third trimesters. During this time, the fetal brain undergoes profound structural changes. Interpretation of appropriate development might require comparison with normal age-based models. Consultation of a hard-copy atlas is limited by the inability to compare multiple ages simultaneously. To provide images of normal fetal brains from weeks 18 through 37 in a digital format that can be reviewed interactively. This will facilitate recognition of abnormal brain development. T2-W images for the atlas were obtained from fetal MR studies of normal brains scanned for other indications from 2005 to 2007. Images were oriented in standard axial, coronal and sagittal projections, with laterality established by situs. Gestational age was determined by last menstrual period, earliest US measurements and sonogram performed on the same day as the MR. The software program used for viewing the atlas, written in C#, permits linked scrolling and resizing the images. Simultaneous comparison of varying gestational ages is permissible. Fetal brain images across gestational ages 18 to 37 weeks are provided as an interactive digital atlas and are available for free download from http://radiology.seattlechildrens.org/teaching/fetal_brain. Improved interpretation of fetal brain abnormalities can be facilitated by the use of digital atlas cataloging of the normal changes throughout fetal development. Here we provide a description of the atlas and a discussion of normal fetal brain development. The single file (.msi file) that you download contains the files necessary for operating the atlas. The program should run on any computer with Windows 2000 or Windows XP with the latest version of .NET framework installed. The program does not work on the Macintosh platform. The folder titled “Atlas” contains all the files necessary to run the atlas. Once the atlas is installed, a Word document to guide you through the use of the atlas is located in the “Atlas_Help” folder. Prior to running the atlas, you may need the latest version of .NET framework installed on your PC. This can be downloaded from the Microsoft web site. Simply search for “.net framework” on the internet. (As of Jan. 28, 2009, the latest version of .NET Framework was 3.5, published 11/20/2007 under the name dotnetfx35setup.exe, available at Microsoft website). You will find a web page with the option to download this .exe file, as shown below. Next, run that .exe file to install the .NET framework onto your hard drive. After the .NET framework is installed, then the Fetal Brain Atlas may be installed. 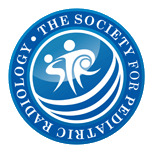 The website (http://radiology.seattlechildrens.org/teaching/fetal_brain/) will ask you to sign an agreement and provide your name and email address prior to offering you the software to download. Once this agreement is submitted, you will then be able to click on “Download” to acquire the MSI file that contains everything you will need to view the digital atlas. Choose to “Save” the MSI file to the desktop, to ensure that it installs correctly. When the MSI file is saved to your desktop, double-click on the new icon on your desktop. This will initiate an Installation Wizard. Continue clicking “Next” until the install is complete. The program can be found using “Start Menu” in the “Programs” folder, under Fetal Brain Atlas. By default the necessary files and folders will be located in the following directory: C:\program files\CHRMC\Fetal Brain Atlas. The box below the menu bar contains a list of cases ordered by gestational age and listed in weeks. The highlighted cases/patients are the ones currently assigned to the viewing windows. You can click on any case in the list to start with a new set of cases in the viewing windows, or you can click on the forward and reverse arrows in the first viewing window to move through the cases. To scroll forward and backward through a series, left-click on a window and hold the left mouse button as you move the mouse up and down. Hold down the right mouse button to select a different series to place in a viewing window. By default, all appropriately linked windows will scroll at the same time as the window you scroll. If you want to unlink or re-link the image scrolling, go into the “Options” menu and check or uncheck the “Link Image Sets When Scrolling” option. The default case list is the “Standard List,” which contains the core, or most applicable, cases. By clicking on “Standard List” on the menu bar you can switch to two other lists. “Expanded List” includes all cases in the Standard List as well as a full representation of gestational ages from 18 weeks through 37 weeks. The initial display mode is “Compare Mode.” You can change the display mode by clicking “Compare Mode” on the menu bar and then selecting one of the three options that appear. It will then change the menu title to the newly selected option. Compare mode allows you to compare the same series over multiple cases. If you right-click on a viewing window and select a series, the program will open that series for all of the selected cases. Only one series can be shown at a time in compare mode. To scroll forward and backward through a series left-click on a window and hold the left mouse button as you move the mouse up and down. “Case Mode” allows you to compare multiple series of a single case. Only one case will be selected at a time (the default is the case in the upper left window). You must right-click on each viewing window to load different series for the selected case. Changing the selected case will change all the viewing windows and load the selected series for the new case. “Sheet Mode” allows you to view one series from one case in detail. It opens the series currently residing in the first viewing window into an array-viewing mode simulating a printed sheet of film. The image sets have comments associated with them. There are three modes for viewing comments, which can be changed from the comments menu (“No Comments” by default). “No Comments”: No comments shown. “Show Single Image Comments”: When you move the mouse over an image, any comments associated with the image will pop up and be shown. “Show All Image Comments”: A small comment window will pop up at the bottom of every image window and stay visible, showing the comments associated with each window’s image. Scrolling through series: To scroll through a series, left-click on a window and hold the left mouse button as you move the mouse up and down. This will scroll forward and backward through the series. If the series images are linked, as they are by default, then all appropriately linked windows will scroll at the same time as the viewing window you scroll. If you want to unlink or re-link the image scrolling, go into the “Options” menu and uncheck or check the “Link Image Sets When Scrolling” option. The viewing windows start out as a 3 × 2 array. Also note the two small arrow buttons in the lower right-hand corner of the upper-most left window. These buttons allow you to cycle forward and backward through the case list without having to manually click the case list. You load series into the viewing windows by right-clicking within a viewing window and selecting a series. However, be aware that there are three different modes that will affect the behavior of the viewing windows. Move the mouse around on the grid to select the new window arrangement layout that you want, and then click it. The viewing windows will rearrange themselves and load the appropriate series automatically.